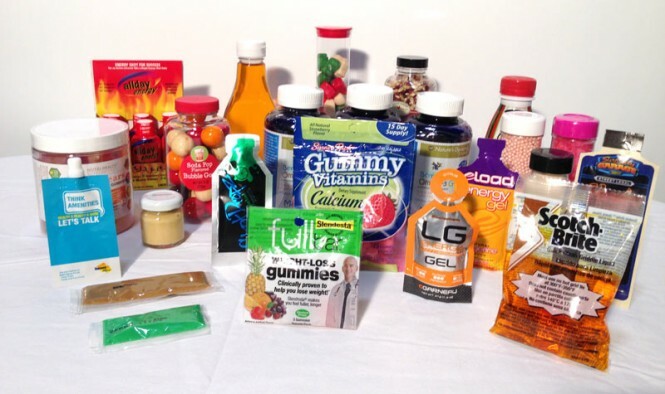 Specialized packaging strategies account for food and non-food substances ranging from gels and solids, to lotions and liquids. Each custom option addresses content characteristics, providing protection and supporting marketing and merchandising goals of producers and their retail partners. Naturally, as public preferences and strategic packaging capabilities evolve, the industry responds with appropriate solutions. More than ever before, flexible spouted pouches and bottles provide go-to alternatives for liquid filling solutions. Stand up pouches alone are expected to represent more than $30 billion worth of annual packaging business, by 2020, so there is no sign of slowing within the liquid packaging market. 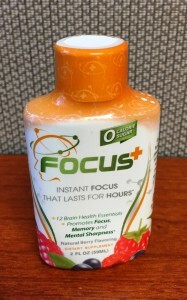 What is behind the popularity of pouches this and other liquid packaging options? In the end, myriad factors play a role, including buyer preference, environmental stewardship, and global economic forces. A number of influences are at work, continually shaping the way contract packagers and producers bring goods to market. And in today’s increasingly global marketplace, the picture becomes even more complex as international forces weigh-in on evolving packaging standards. Growing populations, for example, represent increased demand for bottle filling and flexible pouch usage. But to understand the multifaceted industry, one must also recognize social and technological explanations for packaging trends. In addition to growing numbers of people, worldwide economic growth supports increased consumption, which naturally spills over into the packaged beverage business. Though bottles and pouches are widely used for goods other than drinks, beverages represent a substantial, growing share of the overall plastic bottle filling and pouching business. According to a recent report, the multibillion dollar global beverage industry is poised for continued growth through 2020, and beyond. As a result of the increased demand, automated bottle filling service providers are also well-positioned for accelerated expansion. Social impacts drive packaging trends, but technology is another key player influencing evolving standards. Stand-up pouches, for example, have exploded in popularity, because technology now enables nearly any liquid to be bottled or filled into a spouted pouch. In addition to improved barrier properties and highly effective films, equipment automation advances have streamlined the bottle and pouch filling process. As packagers shift infrastructure to remain on the cutting edge, consumers benefit from tech advances within the industry. Due in part to the enhanced capabilities, modern bottle and pouch solutions now go far beyond food and beverage industries, serving diverse goods like pet supplies, paint and automotive liquids. Improvements within the recycling industry have also made it easier to process plastic materials, so the benefits of using PET bottles continue to grow, as compared to glass and metal alternatives. Buyer preference plays a key role shaping packaging standards, so increasingly popular bottle filling options reflect consumer values. For example, sustainable living and ecologically responsible production practices are important to shoppers, so modern packaging aligns with widespread efforts to waste less food, use energy efficiently, and reduce the amount of material used in the packaging process. Multilayer pouches and PET bottles support environmental stewardship, as well as furnishing the following design advantages. Convenient – Portability is essential to modern consumers, who frequently eat and drink on-the-go. Pouches and plastic bottles travel safely, and can be resealed, whereas traditional glass bottles and cans cannot. Using modern materials, bottle breakage is also minimized during shipment, creating fewer supply chain losses for producers. Lightweight – Packagers use cutting-edge, durable films and polymers to bring bottled goods to market. So whether it is a formed plastic bottle or multilayer stand-up pouch, innovation leads to light, yet secure liquid packaging alternatives. In addition to traditional juice and bottled tea varieties, flexible, lightweight bottles and pouches are now used for liquid energy blends, alcoholic beverages, paint and even motor oil. Highly Customizable – Diverse bottles and pouches are easily customized, including stand-up flexible versions outfitted with pour spouts. Container size, shape, color and functionality can be adapted to specific contents, creating custom packages that stand out on store shelves. Not only is the consumer experience enhanced, but marketing and merchandising possibilities also expand when custom options are available. Efficient Merchandising – Pouches and lightweight bottles outperform alternative packages at every stage of the supply chain. The efficient options create less freight load than alternatives, and ultimately require less retail display space than other forms of packaging. Both advantages translate into higher profitability for producers, wholesalers and retail sellers. Reduce Food Waste – Effective packaging reduces spoilage and supports extended shelf life. By incorporating proper barriers and selecting appropriate plastics, packagers optimize food storage and handling, delivering higher percentages of total food production to end users. One of the easiest ways to account for the growing popularity of spouted pouches and bottles is higher demand for the products they contain. Increased consumption of packaged beverages, for example, is partially responsible for the growing call for bottle filling services. And expanding world populations naturally create new markets for packaged goods. Demand is only one factor, however, working alongside other influences to fuel liquid filling trends. Technological advances, for instance, create opportunities for innovative packagers to devise custom, forward-thinking solutions. And with discerning, on-the-go consumers to answer to, producers and their packaging partners continue to accommodate shoppers’ preferences, using plastic bottles and spouted pouches to meet diverse demands.